Is health insurance Important? 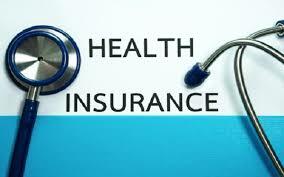 Yes, health insurance is important for your well being and overall good health. Being in good health allows us to perform our daily activities everyday. Have you ever heard someone say or maybe you said the cost of insurance is rising and I just can’t afford it. But I am healthy and I never go to the doctor and I don’t take any medications and the list goes on. Is this you or someone you know? Well we have heard it and we have seen it. We have seen those that take a chance, or gamble with their health that they are healthy and never go to the doctor so why pay for something that they don’t need. What about when you do need it and you don’t have it. Can you predict every day or the future? I am guessing you can’t. Well let me tell you about a client that we had. Came to us after having no insurance, got extremely sick and ended up being life-flighted, was in the hospital for 18 days. Came to us as the bills started rolling in and now wondered what do I do. The life flight bill alone was over $60,000. And now he was afraid he was going to lose everything he worked so hard for. Not even diving into the hospital bills yet,and now he is worried about what he is going to owe it was going to drain everything he saved because he thought he was healthy and didn’t need it. Had he had insurance that he now has at most he would have paid that year would have been $6,000. So yes insurance is important. You say you can’t afford it but can you afford to be without it?